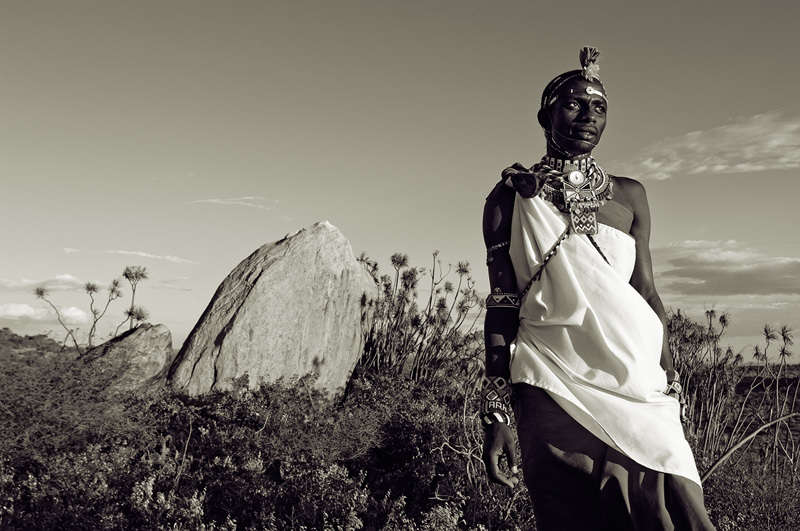 The Samburu are a Nilotic people of north-central Kenya that are related to but distinct from the Masai. The Samburu are semi-nomadic pastoralists who herd mainly cattle but also keep sheep, goats and camels. I shot this portrait around sunset and later converted the shot to a quad tone.